May is nearly upon us and, for me, this means one of my favourite things. Chelsea. Not the football club but the Flower show. Not that I’ve ever been. I’d love to, of course, but the demands of caring for a young family with additional needs prevents trips like that at the moment. One day I will go. One day. For now, I’ll settle for a week or so of high definition images via the BBC and Mr Titchmarsh & Co. Pure indulgence. A week of dreaming that my humble little back garden will somehow also be transformed into a panoply of perennials, a cornucopia of chrysanthemums and cordylines. I have dandelions growing in my conservatory roof. I’ve yet to hear or see the humble dandelion get a mention at Chelsea. I’m not sure they’ve ever even heard of one. After all, it’s a weed. Not wanted. No place for it. It would spoil the garden. Ruin it, even. The dandelion is hated. People wage war against it, so much so we spend millions of pounds on products aimed at destroying it. The dandelion will grow anywhere. Except where it has been eradicated. Yet the dandelion is also loved. Childhood games spent telling the time with a dandelion clock. So perfectly formed, so intricate, so gentle and so beautiful to look at. Then, as the seeds are blown, delightfully, by a childish puffing of cheeks, they are carried effortlessly away on the breeze. Landing somehow, somewhere and there, they begin to make their own mark in the world. A world that doesn’t really want them. Wishes they weren’t there. Will do all in its power to eradicate them. When do these same children learn to hate something they once cherished? When does fear replace this childlike acceptance? I don’t know the answer but somewhere along the road it happens. And so it is with having a child who has an extra chromosome. At least it was for me, and, given the statistics on how many terminations take place in the UK following a diagnosis of Down’s, I think it is fairly reasonable to make the assumption that fear has a huge part to play for many who find themselves in the same position as I did. I was afraid of the dandelion. I was afraid of how it would spoil my garden. Take over. Damage. Ruin its perfect appearance. Make gardening harder. Of course, my garden was never perfect, but I strived to make it so. I could not let the dandelion spoil this dream. I was affronted by this ‘intruder’. I believed the lie. That the dandelion was harmful. That the dandelion was ugly. That the dandelion had no place in my garden. But I could not eradicate it even though I was told it was possible. Easily arranged. For the best. And, I am forever thankful, that my fears although real, were never strong enough to take hold of the situation. They were never allowed to go to the garden centre and buy the weed killer. Though, for a while, I am ashamed to admit, I envied those who could. I began to love the dandelion. I began to cherish its beauty. And, over time, the shame I had wrongly felt at having a garden with dandelions was replaced by a sense of awe and wonder at this beautiful plant. I discovered its beauty, its benefits and its immense joy. I love how it pops up anywhere, it’s deep vibrant yellow flower forcing its way through the most hardened of soils and singing in the sunlight. Enjoying life. Enjoying being there. Dandelion experts even tell of the health benefits it can bring. Who knew?! The dandelion is not supposed to be here. Or so you would think. I wish I could turn back the clock and re frame the dandelion. The dandelion makes me smile. 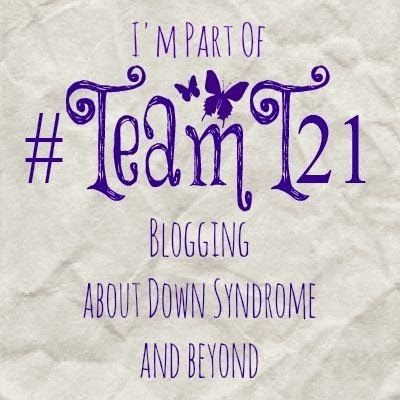 Categories: Abortion, Acceptance, Down Syndrome, Down's Syndrome, Joy, Parenting, Prenatal Testing, Trisomy 21, Uncategorized | Tags: #chelseaflowershow, #dandelion, #dontscreenusout, #downssyndrome, #downsyndrome, #fear, #fearfullyandwonderfullymade, #fears, #NIPT, #Trisomy21, Acceptance | Permalink.